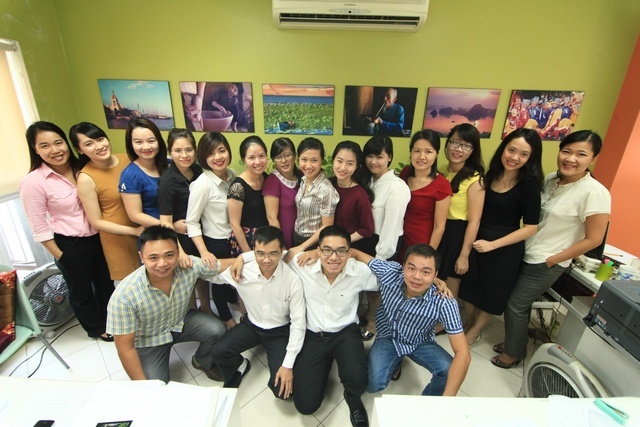 EVIVA TOUR VIETNAM is looking for hoàn trả bắn cá2 candidates for the part-time positions of visa inbound executive. 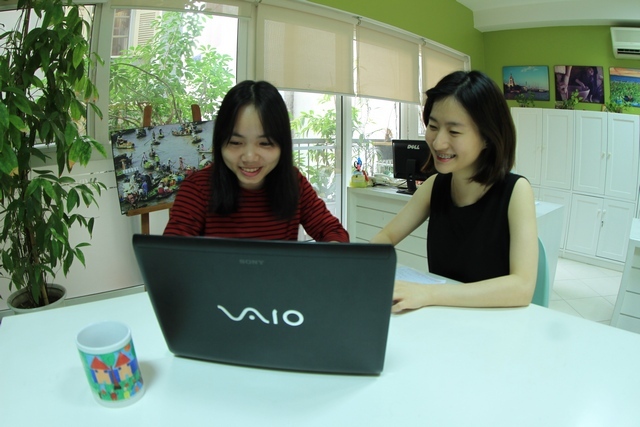 Every year, Eviva Tour Vietnam receives interns from different parts of the world with tourism or marketing background from their bachelor or master programs. Click here for the testimonial from Amaryllis Premillieu, our intern with the background of Cultural Heritage Tourism and Tourism Development in her master program from France. We build a green office culture with green design and resource saving schemes. Our aim is to nurture and protect our surrounding environment.
? Decoration: We forge a deep appreciation for nature and beauty. Our office is decorated with plants and coloured by the presense of fishes and turtles.
? Resources Saving Schemes: Our office is monitored through efficient use of energy and resources. We practice energy-saving schemes (water and electricity) as well as waste recycling. We possess a strong teamwork culture that is packed with fun and employee benefits. We offer a fun, supportive and healthy environment for staff. Employees are enabled to pursue higher education, skill training and promotion opportunities. We are a team of shared practices and values: Priority on Customer Service, Vision to become Local Experts in our products and a Pioneer in Responsible Travel initiatives. We share the same vision and support each other, personally and professionally. Eviva offers strong education and training schemes. It equips employees with both tourism expertise and soft skills, in order to excel in corporate environment. Opportunites to become Senior executives and promotions are available to help staff to map out career paths. Competitive salary, monthly incentive together with 13th month salary and other bonuses are available to credit staff performance. We are concerned about physical and mental well-beings of our staff. Eviva offers annual Medical Health Check-up at international hospitals as well as Social and Health Insurance. We make efforts to conduct team-sharing and assistance to help staff overcome their health and personal issues. Flexible hours and work-from-home days are also avaiable for staff to consider. Eviva offers opportunities to their staffs to connect with experts and professionals across all fields. Employees are encouraged to expand their connections and knowledge in joining conferences and workshops. Training with top experts in tourism and business fields are also available. Annual Summer Holidays are offered to staff at 4 to 5-star hotels. Inspection trips at local and regional destinations provide opportunities for staff to travel and understand more about tour products and travel destinations. International travel opportunities are also available to outstanding staff.